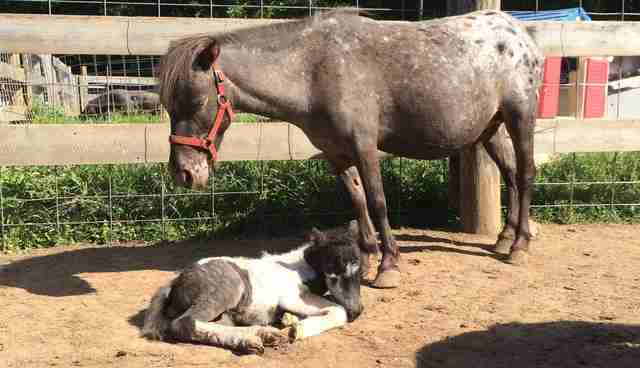 Mini Horse Was Saved From Slaughter At The Last Moment. Then A Tiny Surprise Came. 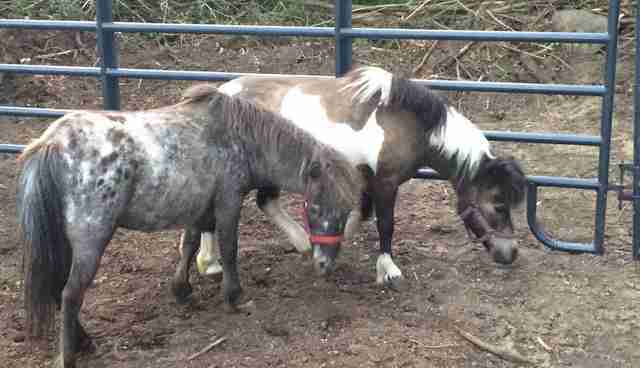 At an auction in New Jersey, hundreds of unwanted animals are sold off every month. The unwanted of those unwanted animals, the ones who aren't sold, are sold for slaughter. Some animal lovers pay the "meat price" to rescue them. 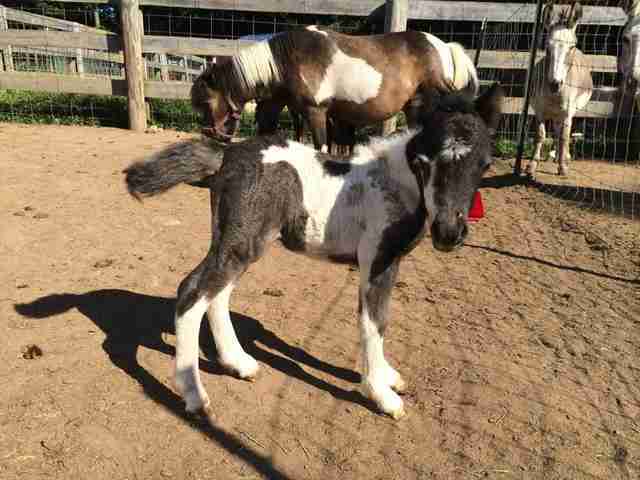 One of these animals, rescued this past spring, was a mini horse named Starbrite. 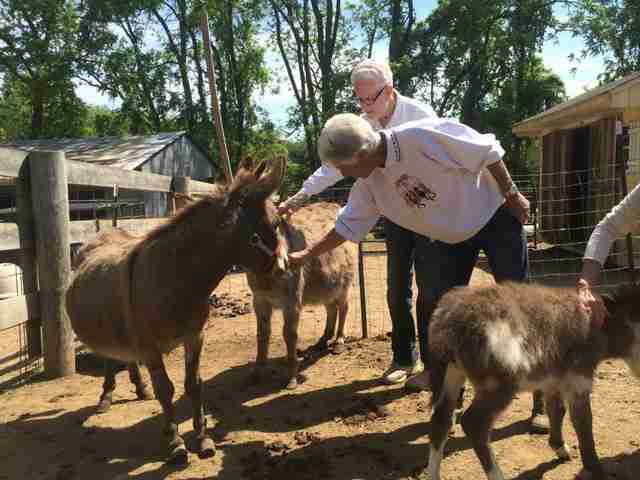 Thanks to generous donors who paid to save their lives, Starbrite, along with another mini horse and three donkeys, went to their new forever home, The Barnyard Sanctuary in Columbia, New Jersey. 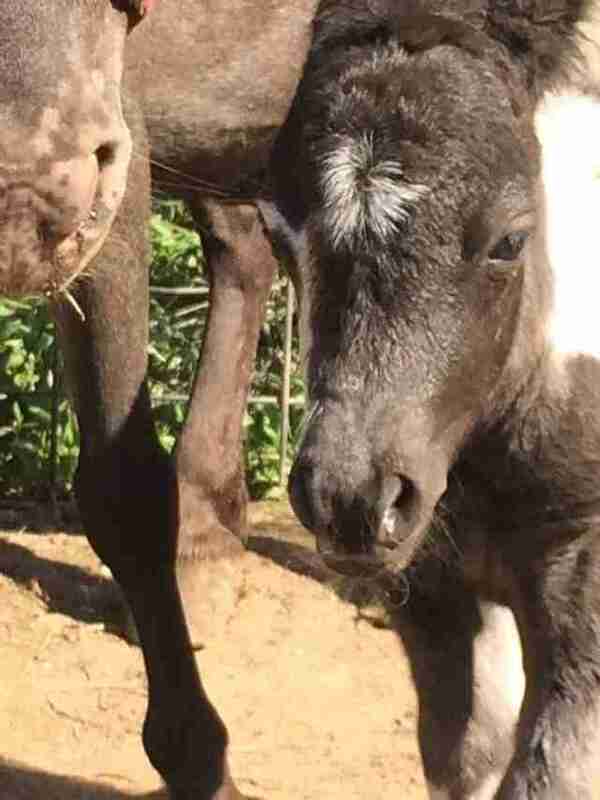 "I'd just been down the week before, and I went to get them, and there were three donkeys there too, who hadn't been sold and were very sick," Tamala Lester, president and founder of The Barnyard Sanctuary, told The Dodo. Lester brought the five incredibly lucky animals to the sanctuary, where they've been living happily since the spring. But last week, Lester noticed a change in Starbrite, who'd grown suddenly quite large around the middle. Then, strangely enough, Lester noticed Starbrite was developing an udder. "And sure enough," Lester said, "a few days later, out pops the baby." 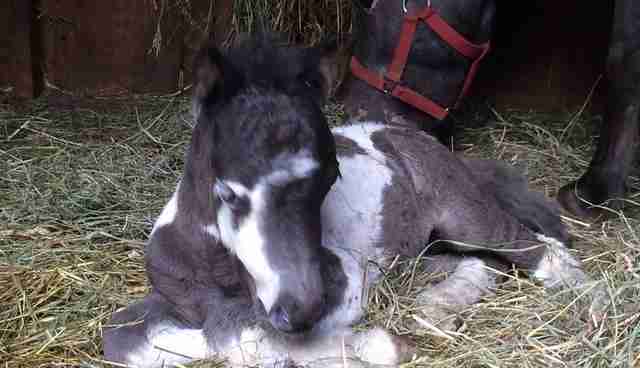 Starbrite's tiny daughter was born on August 7. Rescuers named her Natane, an American Indian word for daughter. 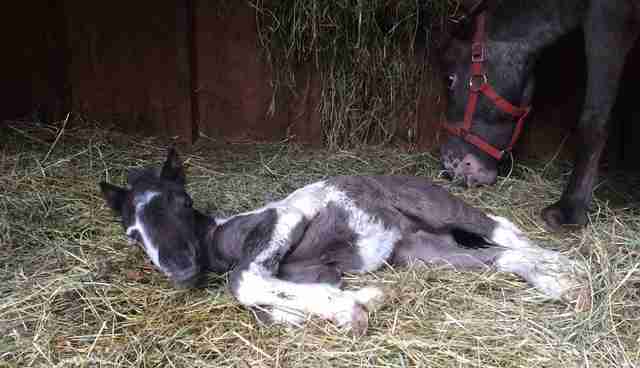 Both the mother and the baby, who almost didn't survive, are now thriving. "She's doing great," Lester said. "She's running and kicking her heels. Babies are incredible." 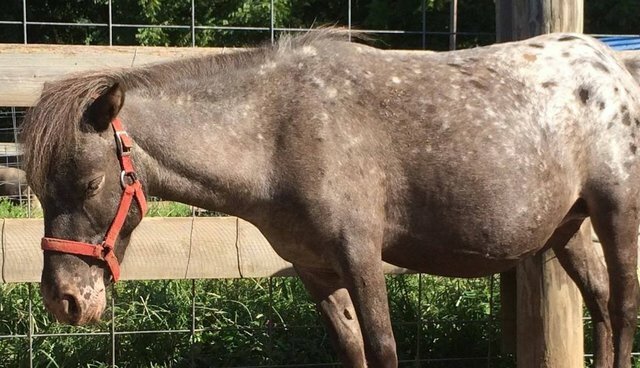 A beautiful ending to a story that started in the saddest and most dire circumstances.Learn how you can help The Barnyard Sanctuary rescue animals here. And follow all the great work they do on their Facebook page. A beautiful ending to a story that started in the saddest and most dire circumstances. Learn how you can help The Barnyard Sanctuary rescue animals here. And follow all the great work they do on their Facebook page.